MMC (Mark Martinez Corp) is a new Wisconsin based company launched in 2014 with an emphasis on custom hunting sights for rifles and shotguns. Mark has a long history of hunting in Wisconsin and has designed a series of easy to use hunting sights designed to improve the accuracy and dependability of any slug equipped shotgun or rifle. Machined steel is stronger than stamped. Growing up in a family steeped with Wisconsin deer hunting tradition, Mark and his brothers started off as many young hunters do, wielding Marlin 30-30 lever actions. 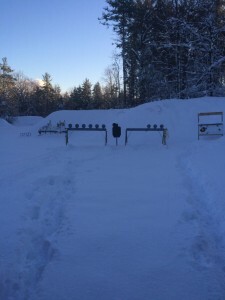 While the guns were light-weight and easy for the youngsters to handle when out in the woods, the open sights were tough to shoot accurately at distances beyond 50 yards. Another Cold Product Demo At The Target Range On Our Wisconsin Hunting Land. With the keys to his father’s machining shop when Mark was in high school, he set out to design a better hunting sight for his 30-30. It didn’t take long before his brothers were asking for the same type of sight, then other family members, then friends, neighbors and more. Hunters loved the simple design and easy to zero set screws for wind-age and elevation adjustments. And the durability was top notch as well. Today, Mark has expanded the design of his all machined steel peep sights for a wide variety of deer hunting rifles and slug guns. While other hunting sight manufacturers are using cheap stamped foreign steel prone to damage and rust, MMC continues to use the highest grade metals and machining processes to guarantee insane durability and unmatched accuracy. Time Tested In One Of The Harshest Of Hunting Environments: Wisconsin Deer Hunting Hunting whitetail deer in Wisconsin can be brutal cold, and as you know, cold weather can be tough on hunting gear. Scopes can fog and freeze over, shotgun plugs can jam, and auto-loader breeches can literally freeze shut. We test all of the MMC rifle and shotgun sight designs in the field during actual whitetail, predator and small game hunts to ensure they can hold up to the rigors and demands of actual hunting conditions. Fancy sights for punching holes in paper at the range are great for doing just that, but for hunters out there climbing trees, dropping their weapons, scraping them on brush etc the sights need to be rock solid. Our hunting sights are designed to be used and abused without any detrimental effects to performance or longevity. One of the worst feelings any hunter can have after bumping, dropping or jarring his rifle is wondering if the sights are still “on” or zeroed in. With many hunting optics this can be a major problem. When a rifle is propped up against a tree and it slides over and falles on the scope, or a slinged gun is rubbing on a hunters shoulder all day – these can jostle some scopes and other types of sights enough to through them off. And as you know, shooting at any game animal with an inaccurate weapon can very easily lead to poor shot placement and a wounded animal. Our sights can take the abuse that hunters dish out day in and day out, without any worry of becoming out of alignment. MMC takes the worry out of each and every shot! —————————————————— MMC Crossbow Sights! That’s right, we’re taking the exact same design features of our peep sights for rifles and shotguns and designing them to fit a wide variety of popular crossbow brands: Barnett, Ten Point, Darton and more. 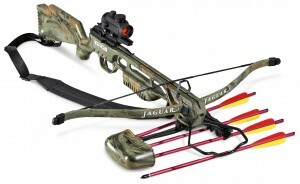 With crossbows becoming increasingly popular in the deer hunting woods, more and more hunters are using them each season as an alternative to compound bows. For 2016 we’ll be rolling out a line of crossbow sights designed to surpass the performance of traditional crossbow scopes. Stay tuned for more info! Last but not least, here’s a shameless plug for mu good buddies over at WisconsinFan.com for helping my design this website! Check out their huge selection of Wisconsin themed gifts and apparel!